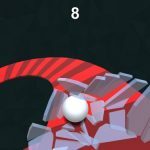 Roller Coaster is a crazy endless runner game created by the French casual gaming giant Ketchapp for Android and iOS devices. 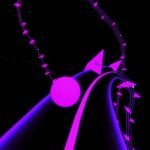 In Roller Coaster you are controlling a black ball though an endless road that twists, turns, and goes up and down like a wacky theme park ride. 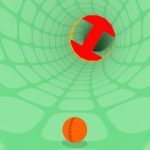 Your goal is to guide the ball as far as you can while picking up pink targets and avoiding black obstacles at the same time. The controls are simple, as you only need to tap left or right to make the ball roll in that direction. Be careful not to make it roll too far, though. The sides of the road do not have any barriers, so if you go too far, you will fall off the edge! You won’t always see what lies ahead, so you will need to be quick. If you need some help to improve your high score, then be sure to check out our list of Roller Coaster cheats, tips and tricks, right after the jump! As you play run through the course, you will see two types of obstacles. The first one is the pink obstacle with a white ball in the center. Hitting these will give you points, so try to hit as many as you can. The second type is the black one. Avoid these at all costs because hitting a single one will automatically end your run. There will be times when a pink obstacle will be right in front of a black one. Do not risk your run for the sake of one pink obstacle. You can always pick up more later on. Just steer clear of the black ones as much as you can. Remember the white center of the pink obstacles? If you will notice, it’s about as big as your black ball. That’s because you are meant to make the ball go through that white center. Doing so will earn you a Perfect. Hitting a Perfect won’t really do anything the first two consecutive times. You will need to hit at least three consecutive Perfects in order to trigger the combo. The third Perfect will be worth 20 points. The worth of each subsequent Perfect after the combo starts will continue to increase by increments of 10. That means you can potentially earn hundreds of points if you can maintain the Perfect combo! There are several balls available for you to unlock in Roller Coaster. Using a different colored ball will also change the color of the road and the background. While these are meant to be cosmetic customizations for the game, some players actually find it easier to play when using certain colors. Try out different color combinations and see if you can find one that you are more comfortable with. Just as we mentioned above, the pink obstacles are not your priority. You need to focus on surviving no matter what. The game is pretty brutal when it comes to the learning curve. It will start of at a relatively fast speed even if it is your very first run. 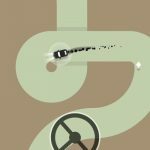 You will need to adapt quickly and focus on avoiding black obstacles at all costs. Don’t forget that you also cannot roll off the road, or you will end up losing as well. It is time to climb the leaderboards in Roller Coaster! Just follow the tips and tricks listed above and you will be able to get top scores in no time!